Senator Shelby has consistently fought for conservative principles in the Senate. He knows that the best form of government is one that is smaller and less intrusive. He currently has a 98% conservative rating from Heritage Action, an A+ lifetime rating from the NRA for protecting the Second Amendment, and an A+ lifetime rating from Numbers USA for his strong record on immigration. He has also received the “ACU Conservative Achievement Award” from the American Conservative Union, the “Guardian of Small Business” award from the National Federal of Independent Business, the “Taxpayer’s Friend” award from the National Taxpayers Union, and the “Guardian of Seniors’ Rights” award from the 60 Plus Association. 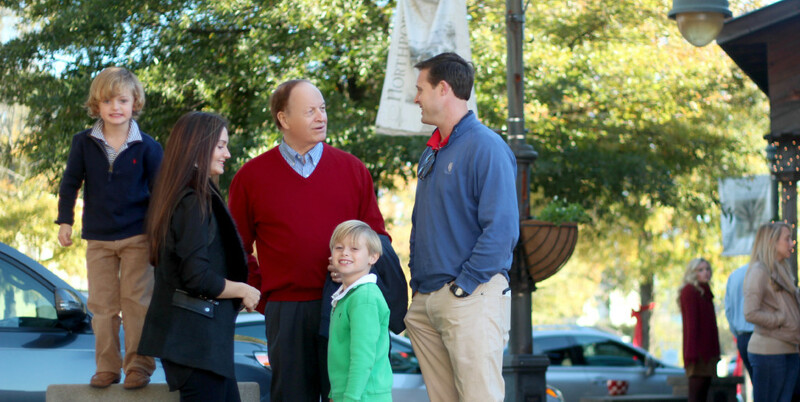 Born and raised in Birmingham, Richard Shelby is the son of a U.S. Steel draftsman and a fifth generation Alabamian. As a star defensive end on the Hueytown High School football team, he earned a scholarship to the University of Alabama, where he graduated from both the undergraduate and law schools. Before joining the Senate, Senator Shelby served four terms in the U.S. House of Representatives and two terms in the Alabama State Senate. He also served as a City Prosecutor in Tuscaloosa, U.S. Magistrate Judge for the Northern District of Alabama, and Special Assistant to the Attorney General in Alabama. Senator Shelby and his wife, Annette Nevin Shelby, reside in Tuscaloosa, their home together for nearly fifty years. They have two sons and two grandchildren. Since he was elected by the people of Alabama to serve in the Senate, he has held meetings in each of Alabama’s 67 counties every year. He does this because he believes that effective representation requires constant interaction and discussion with his constituents. Senator Shelby has held 1,943 of these meetings thus far and continues to find them the best way to understand the impact of the decisions he makes in Washington on the people back home in Alabama.